Remember a few months ago when I professed my love for the Circut Iron On glitter paper? Well I put our relationship to the test last week when I did a little craft for Shot of Mom on behalf of wine club. 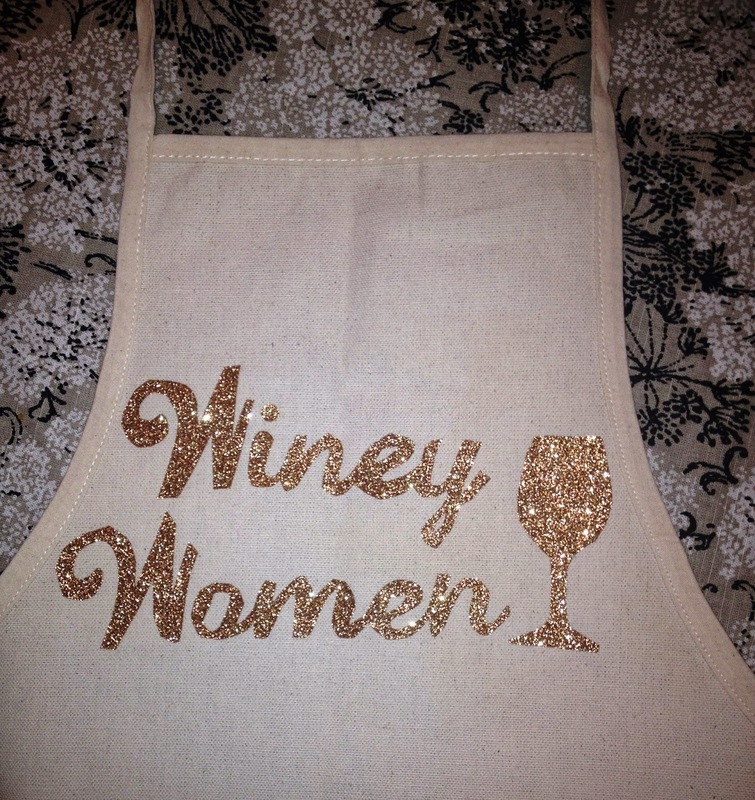 Shot of Mom hosted an old-fashioned BBQ-themed Wine Club and wanted to gift club members with customized Winey Women aprons. Shot of Mom wanted a typical iron on, but I loved how the Circut project turned out a few months ago, so I went for that. About six hours and 14 aprons later, above is the finished project! I taped the words to the glitter paper and just cut along the black line. I will tell you though – to make 14 aprons, it took about 3 rolls of glitter paper, which retail for $16 (I bought two of them for $9 with the 40% off Michael’s coupon). Um, it appears that the Circuit website sells the paper for $14.99! Anyways, I totally recommend this stuff. It’s easy, looks rad and the glitter doesn't shed!